The effect of an optical component or subsystem on an electromagnetic wave is considered and a signal transfer function associated with the propagation is derived. A coordinate transformation is introduced which makes it possible to compute this transfer function. A lens can be characterized by the zeros of this transfer function in the complex plane and the effect of variations of the usual optical parameters on this transfer function is expressible in terms of root loci. 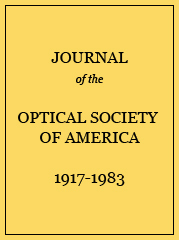 These loci are simple functions of the lens parameters and one basic set of loci defines the properties of a large class of rotationally symmetric lenses. Their use in the preliminary design of optical systems is indicated and a simple case is carried to completion. Compute circle of rms best fit and set curvature of next dummy surface to this value. Tabulation of actual and equivalent bending as a function of object position.